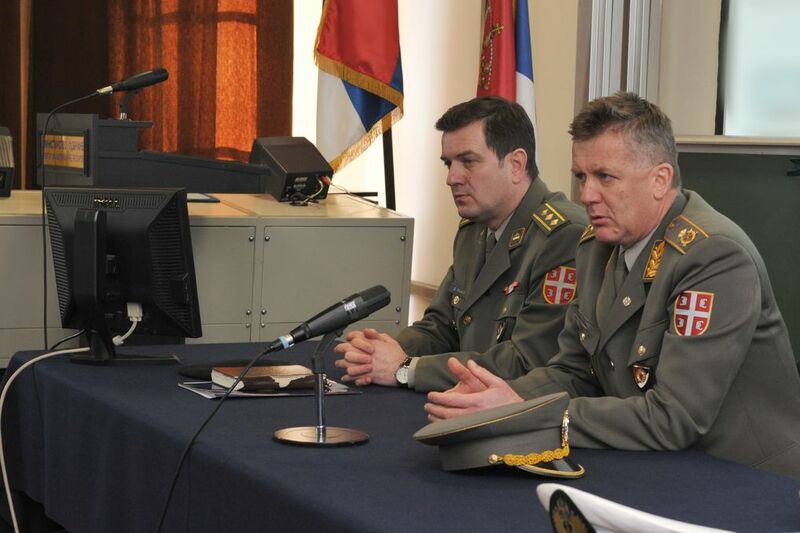 Belgrade, September 7, 2015- The Director of the Military Intelligence Agency Brigadier General Slavoljub Dabic made the opening speech at the Intelligence Training Centre (ITC) on September 7, 2015 marking the beginning the professional training programme: “Training of the candidates for the work in the defense attaché offices in the field of intelligence and military diplomacy”. General Dabic greeted all attendees of the course wishing them a lot of success during the nine-months preparations for their future posts. The course is attended by the eight candidates for the work in the defence attaché offices of the Republic of Serbia who are planned to be assigned to their duties in 2016 in accordance with the plan of the regular replacement of the defence attachés in the Federal Republic of Germany, Russian Federation, French Republic, Republic of Austria, the Republic of Italy, B&H and Bulgaria and defence attaché assistant in the USA.